Providing you the best range of glossy plate for id card fusing machine, a4 size glossy fusing machine ss plates and matte finish card fusing machine plates with effective & timely delivery. 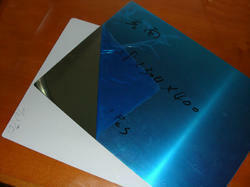 We are leading manufacturers, exporters and importers of high quality Glossy . these products are designed under the strict supervision of our experts and are delivered safely and timely. These are broadly used for plethora usage and are customized, as per the specifications depending upon their size and thickness. 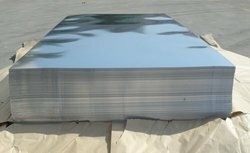 We are leading manufacturers, exporters and importers of high quality Matt Steel Plate. these products are designed under the strict supervision of our experts and are delivered safely and timely. These are broadly used for plethora usage and are customized, as per the specifications depending upon their size and thickness.